STEVE SPIEGEL is the founder of Theatrical Rights Worldwide (TRW), a visionary company dedicated to representing musicals on behalf of their authors for presentation by theatre organizations throughout the world. Prior to founding TRW, Steve Spiegel worked for R&H Theatricals and was an agent at William Morris Agency. Preceding his tenure at R&H and WMA, Steve was President of Music Theatre International (MTI) from 1994 to 2002, culminating his 23 year career which began there in 1979. Throughout his 37 year career, Steve has established himself as the leading authority in the field of worldwide musical licensing. Steve possesses an unmatched knowledge of the business and uses his negotiating skills and network of colleagues, clients and customers to originate industry changing materials and resources. 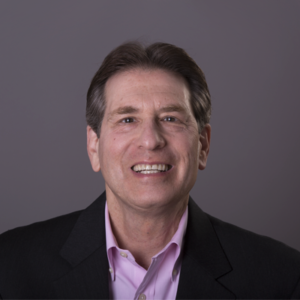 Through innovative marketing and promotional enterprises in conjunction with sales and managerial programs, Steve has enhanced the value and experience of musical theatre presentation and performance. His visionary ideas, products and services have enhanced the rehearsal and performance experience, fostered audience attendance and encouraged student and community participation. Among his groundbreaking contributions are Broadway Junior/Youth editions of shows, digital music rehearsal and accompaniment tools, educator study guides and author instructional materials. Steve continues to introduce unparalleled licensing strategies and develop innovative new products and services to heighten the value of theatre participation and revenue opportunities. Steve has worked extensively with authors, rights holders, agents, elementary, middle and high schools, colleges, universities, civic and religious groups, youth theatres, tours, professional companies, dinner theatres, regional and community theatres, international companies, First Class and Broadway producers. In 1996, Steve received the Distinguished Merit Award from the American Association of Community Theatres for Outstanding Service to Community Theatre in America and in 1998, the New York State Theatre Educators Association honored him with their award in recognition of advancement in theatre education. In 1999, Steve received the Florida Association For Theatre Education Arts Advocate of the Year Award. In 2000, Steve received the Educational Theatre Association’s Founder’s Award, the Ohio Community Theatre President’s Award and the US Army, European Division’s Outstanding Support of Theatre award. In 2001, The American Association of Community Theatres once again honored him with their Business Partner Award. In 2008, the Tennessee Arts Academy presented him with their Partner in the Arts Award and in 2009, TRW received the Corporate Partner Award from the American Association of Community Theatres. In 2010 the New Zealand Musical Theatre Conference selected him as their Key Note Speaker and in 2013, the Georgia Theatre Conference honored him with its Distinguished Career Award. In 2015, the mayor of the city of Memphis awarded Steve the key to the city in recognition of his contribution to the city’s performing arts and in 2016, Steve received the Smart CEO award acknowledging TRW’s growth as one of the 50 fastest growing companies in America. Steve is an advocate for the arts and his pioneering efforts and expertise have nurtured educational, community and professional theatre throughout the world.